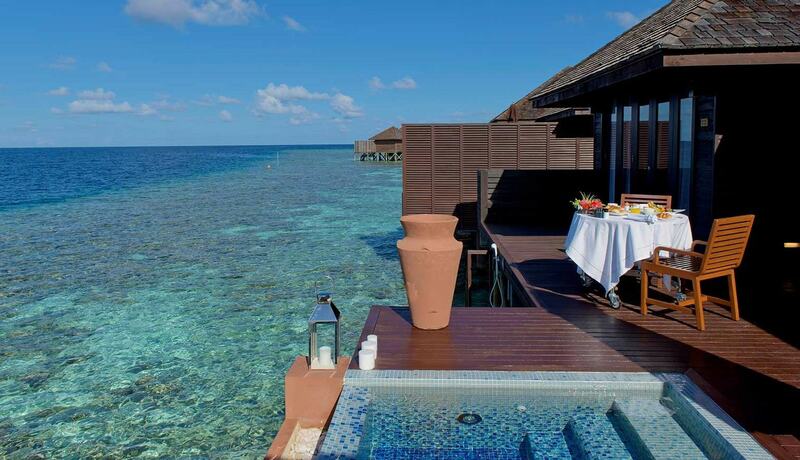 A glass floor is not only exciting to walk on, it also brings enrichment to luxury villas. It makes you feel more spacious while taking you even closer to nature. 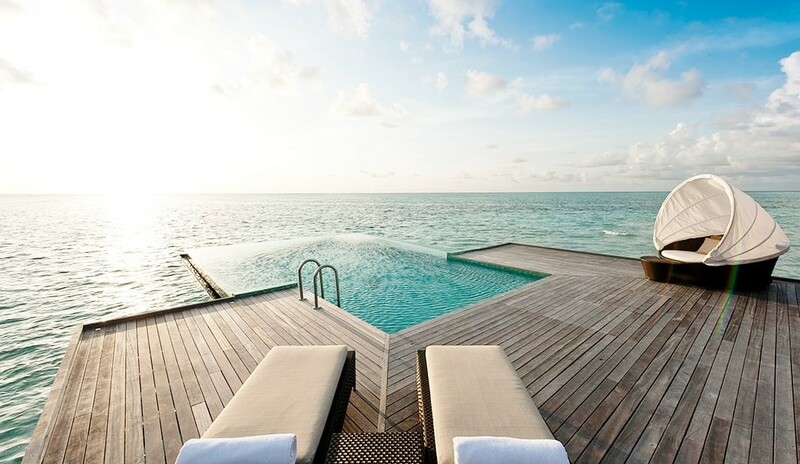 Seeing the waves underneath brings comfort to your senses. The glass floor also allows reflected natural light into the room. 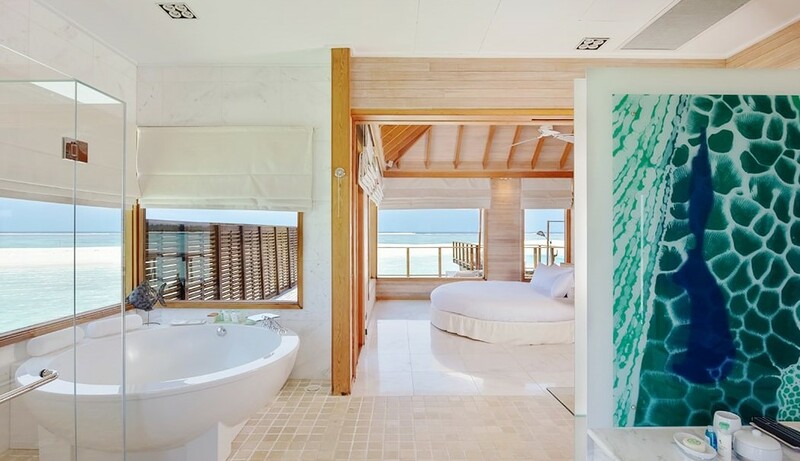 This could be perfect surprise to your spouse when she opens the villa entrance door there is a 6 feet long glass floor. If she wants to get in she would have to walk across over the glass. 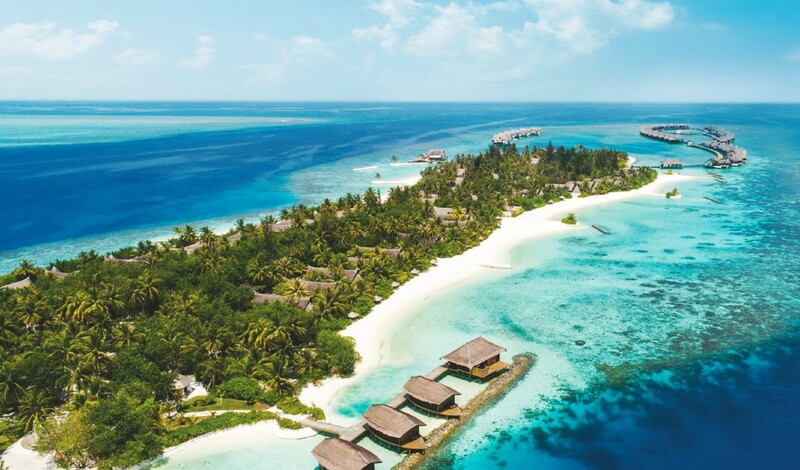 Lily Beach Resort is a Five Star Deluxe resort and the 126 sqm is conveniently located few metres from resort's amazing house reef. 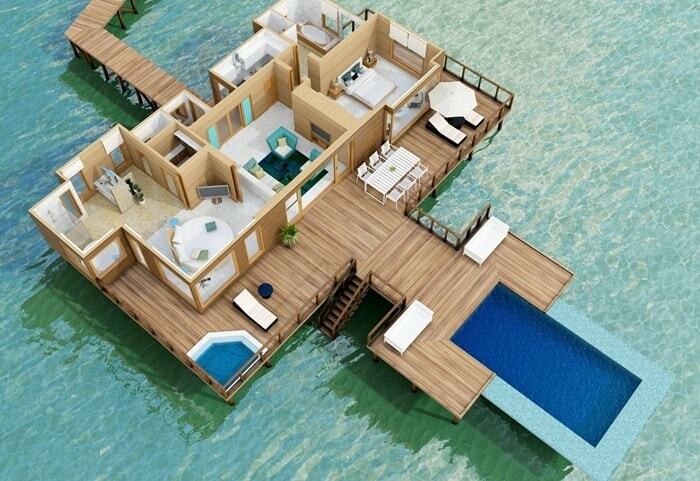 Deluxe Water Villa has very simple design, hallway is in the middle while one side has bedroom and other the bathroom. 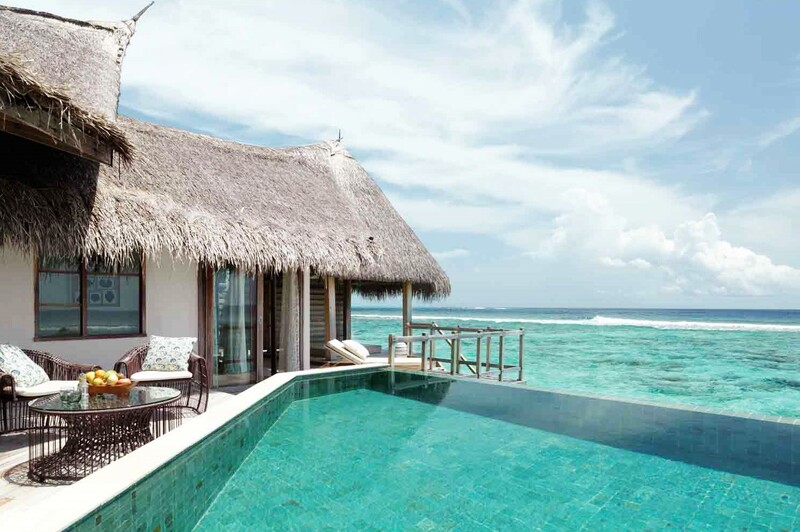 Behind there is a large wooden terrace with a plunge pool that gives uninterrupted view of the Indian Ocean. Stairs are there to go down for snorkeling. 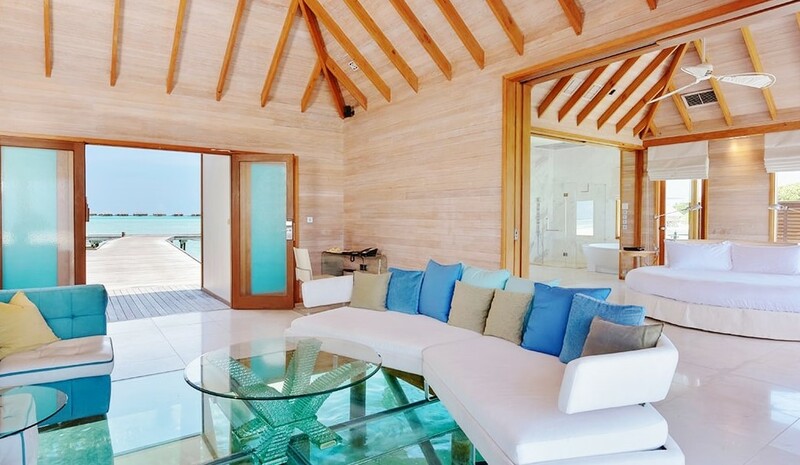 The two bedroom villa comes with a glass flooring in the living area. It brings the feel of tranquility as you relax in the couches. At times you could also see some fish swimming around. 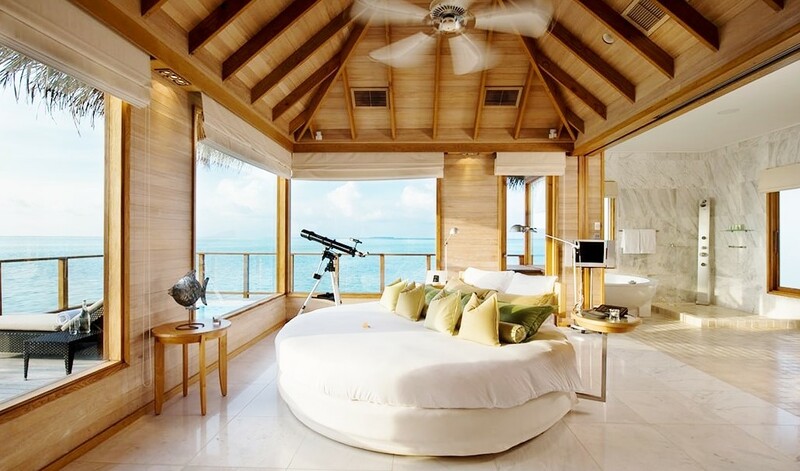 This Sunset Water Villa has an amazing rotating bed that gives 270 degree view of the ocean. 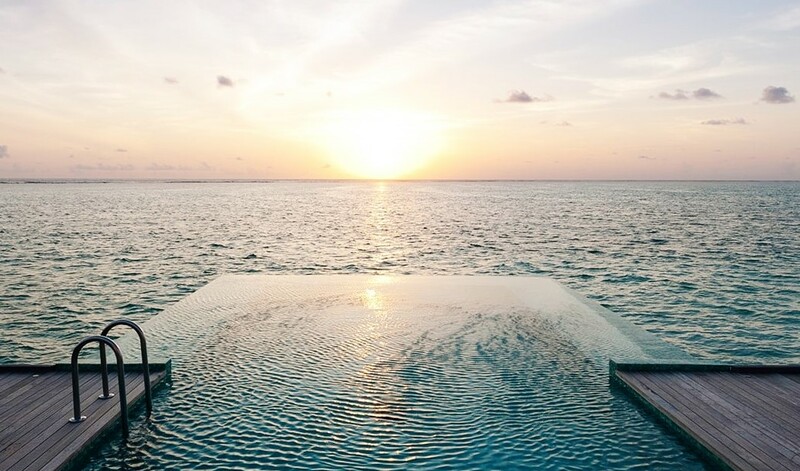 It is perfect to watch sunset in comfort of your bed. 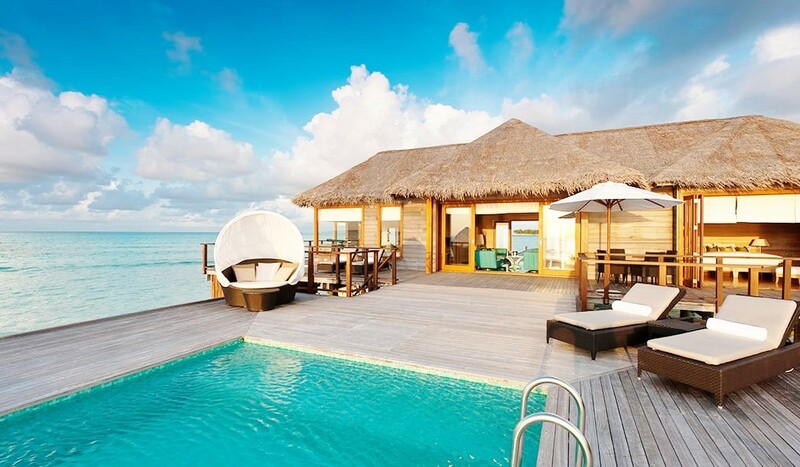 The villa is equipped with an infinity pool and a whirlpool. 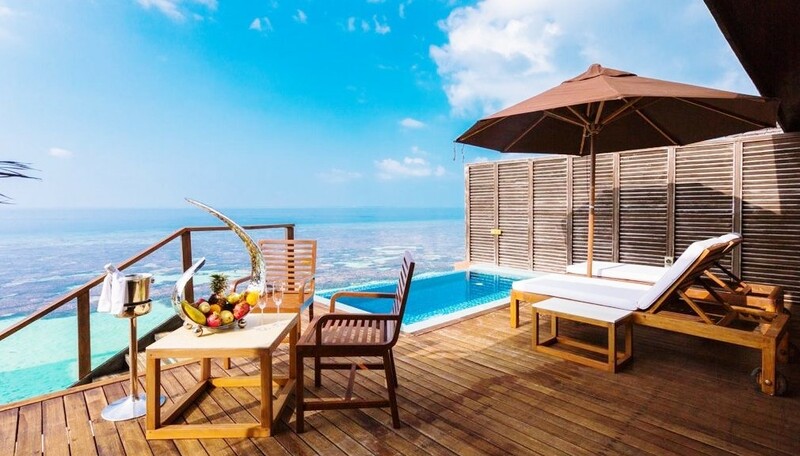 There is a wooden terrace that gives beautiful uninterrupted view of the ocean. 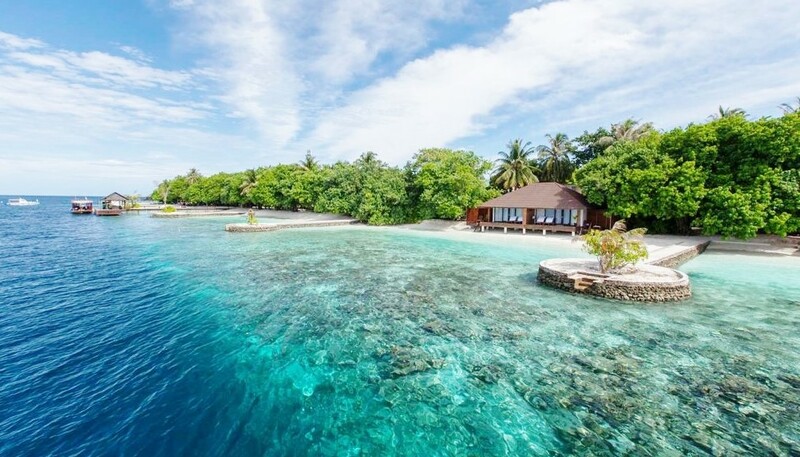 The 2 bedroom villa is perfect for a family of up to 4 adults with 2 children, or 3 adults with 3 children. 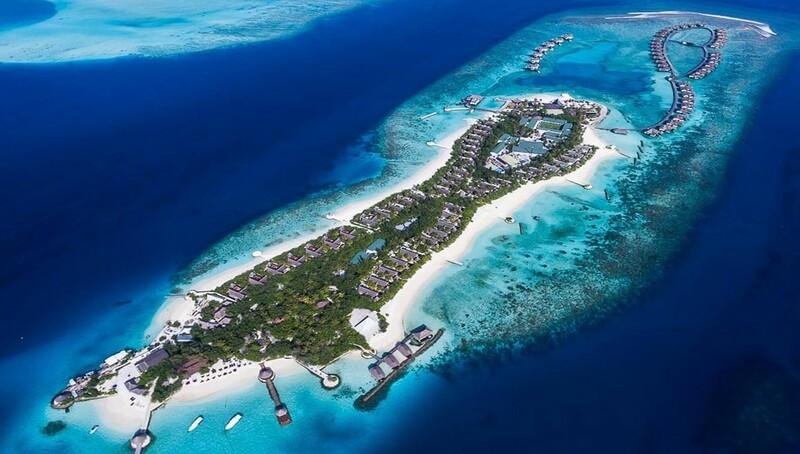 Conrad Maldives is a five star deluxe resort well known both locally and internationally. 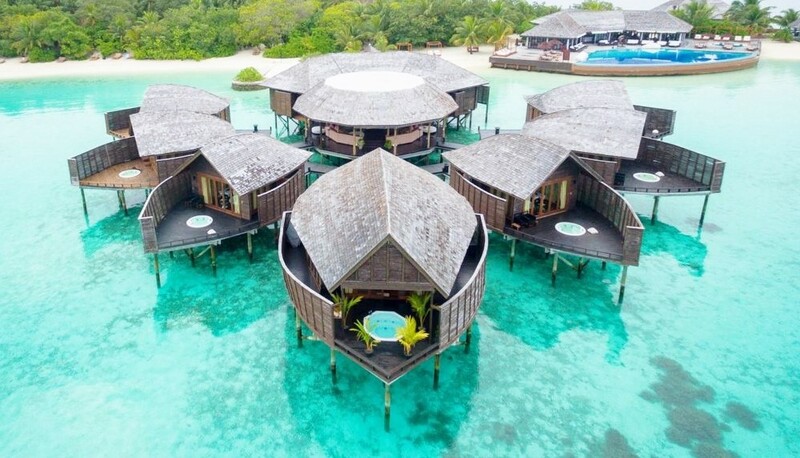 Water Villas well known for its iconic architecture is the perfect exotic choice. 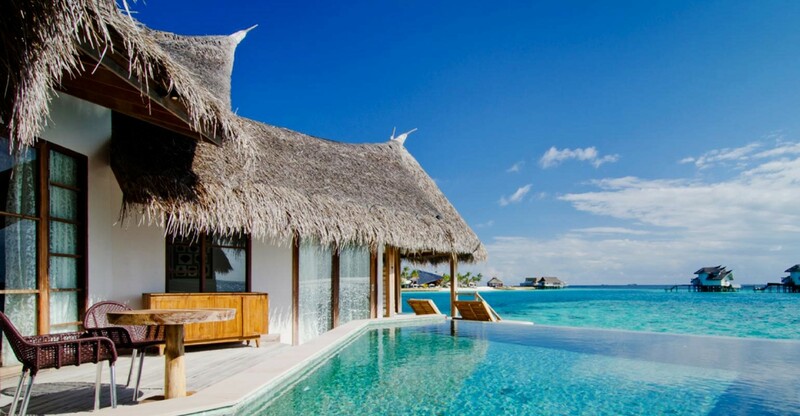 Palm thatches roofs make is very appealing among nature lovers. 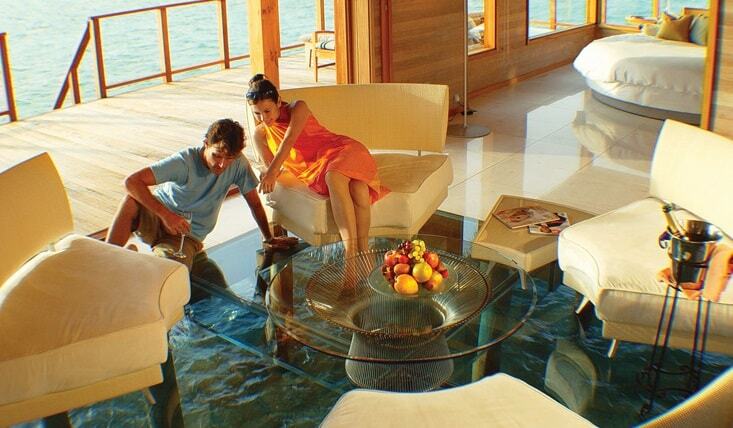 The living area has a glass flooring to enjoy watching movements of fish. 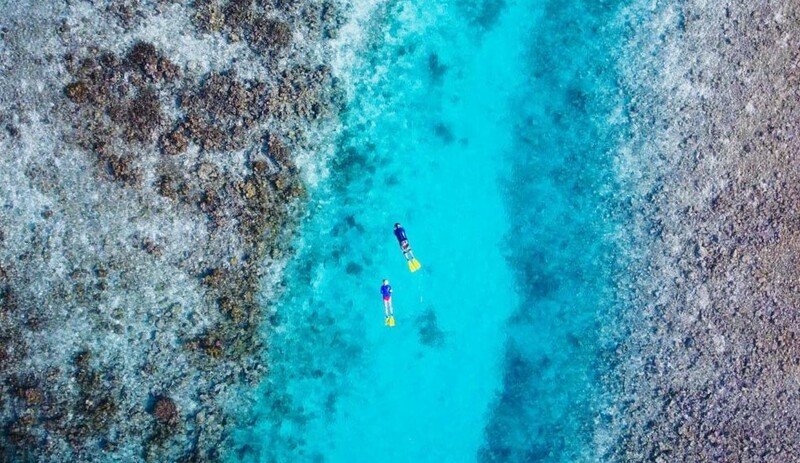 After a while if you really want to watch more you can go down the steps and reach the house reef within minutes. 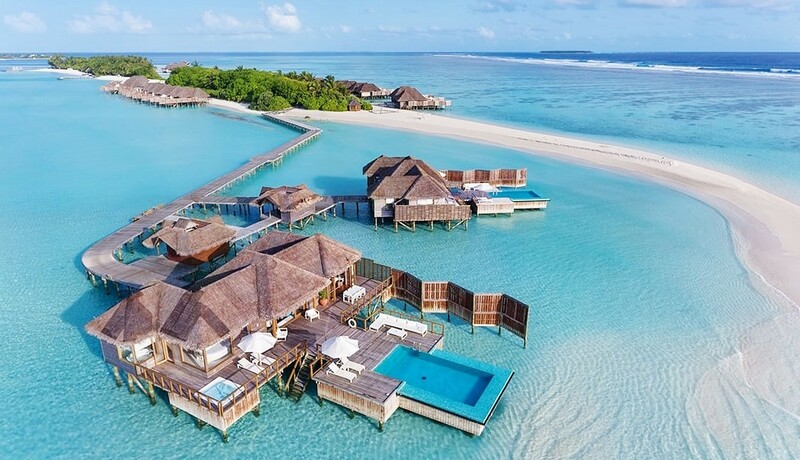 Water Villa With Pool Sunrise comes with a king size bed and could accommodate 2 adults with 2 children below 12 years or 3 adults. The 200 sqm room is spacious enough and there is a pool out side. 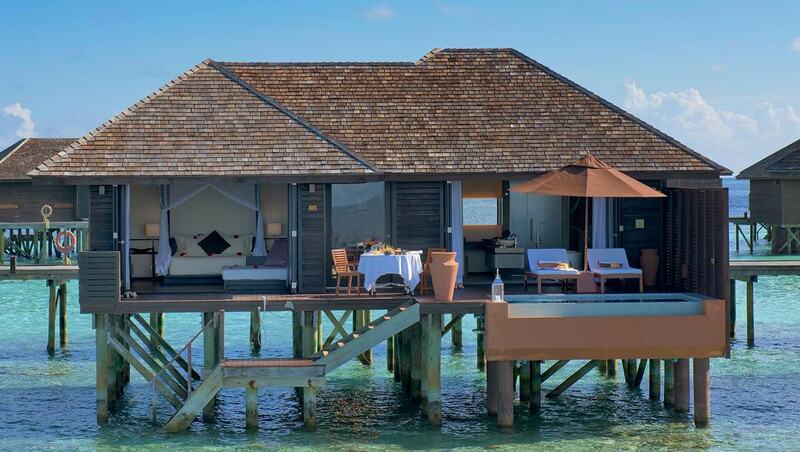 Out on the deck there is a gazebo with a day bed to relax while catching some cooling breeze of the Indian Ocean.